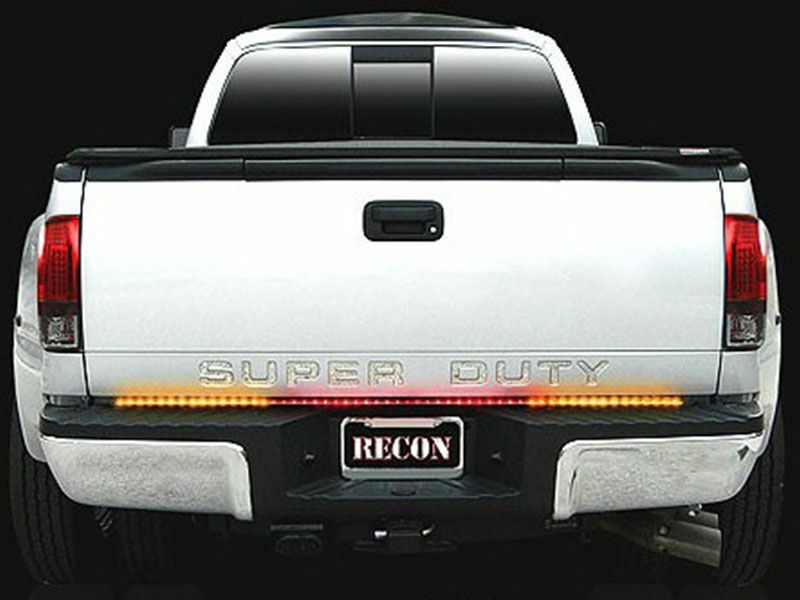 Recon Xtreme tailgate light bar features amber, red and white led lights. This is the Recon scanning led light bar offering the ultimate in a pickup truck tailgate light bar. The Recon Xtreme led light bar has scanning amber turn signals, white reverse lights and red running, hazard, and brake lights. Like all Recon tailgate light bars, the Xtreme is available in a 49" or 60" led light bar to fit virtually any car, pickup truck or SUV. Offering an easy plug and play installation than can also be hard wired. The Recon Xtreme tailgate light bar is SAE and DOT approved for street use. Enhance your pickup truck with Recon LED lights. The Recon Xtreme Tailgate Light Bar by Recon Accessories is an easy at home no drill installation.